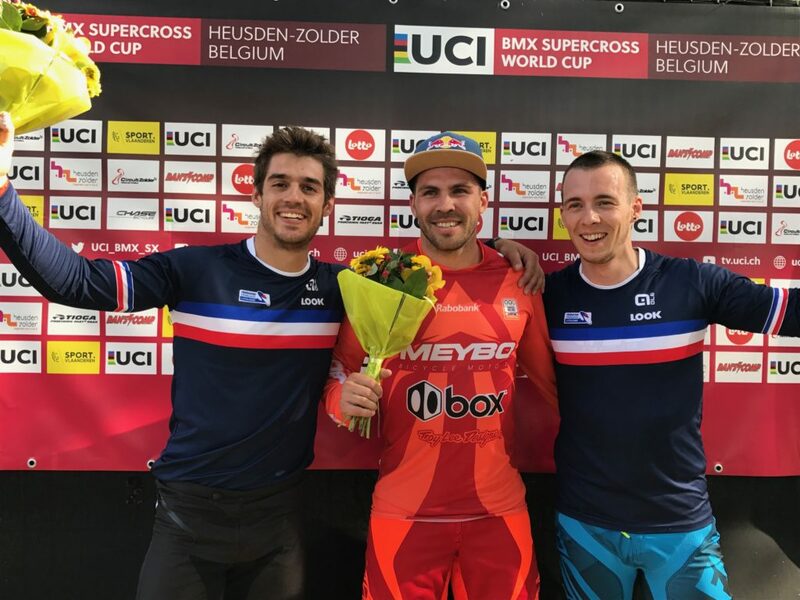 Round 3 & 4 of the 2017 UCI BMX Supercross World Cup Tour took place this past weekend in Zolder, Belgium. 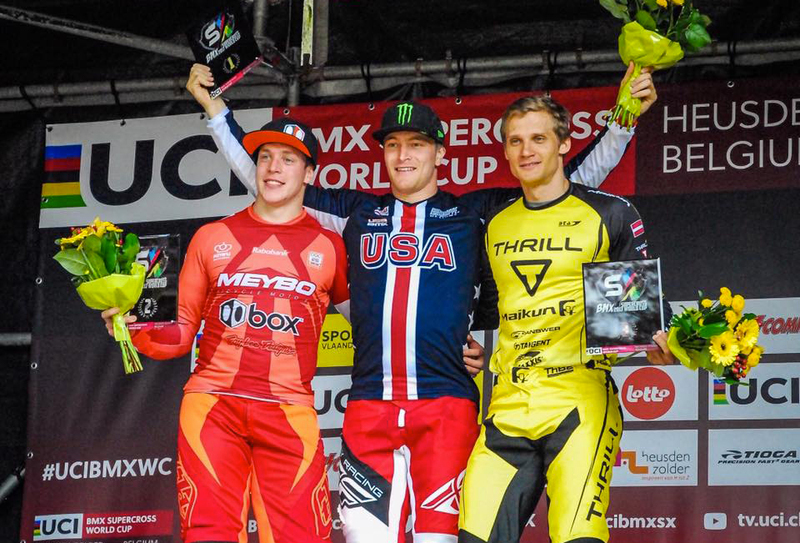 Both Connor Fields and Romain Mahieu took part as competitors in the largest Elite Mens fields in SX history. With Joris Daudet wining last week, but not attending the event in Belgium, it was anyones game to take the win. On Saturday, Connor Fields was unstoppable, winning each lap on the Zolder track, leading up to the main event. 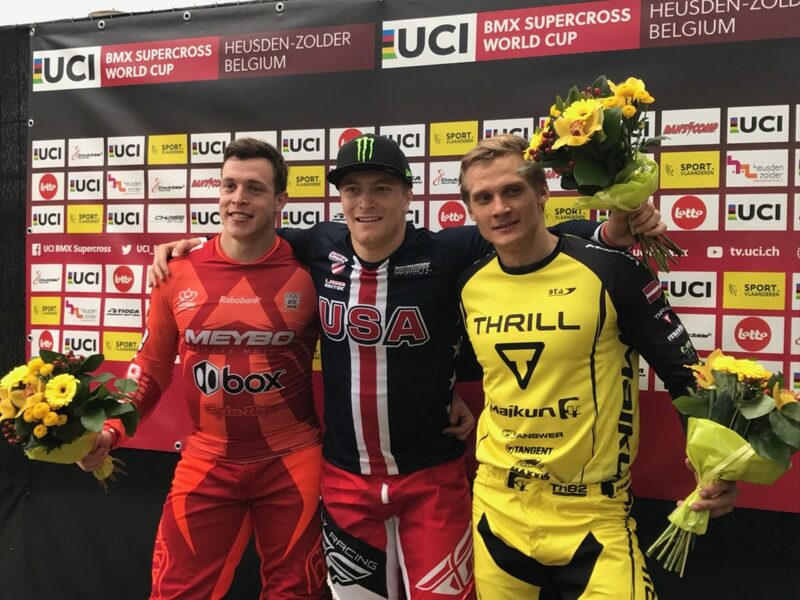 When the gate slammed for the final, Connor once again took the lead and never looked back, racing his win to his 5th UCI BMX Supercross World Cup win! Connor would also take over the World Cup points lead after Saturday main event. On Sunday, it was Romain turn to get on the Podium. Connor had and unexpected early departure from the event with one bad lap, but Romain took the Chase ACT 1.0 Carbon frame all the way into the main event and onto the podium with a 3rd place finish. The riders now get to have a well deserved weekend off before heading back to the track for competition. 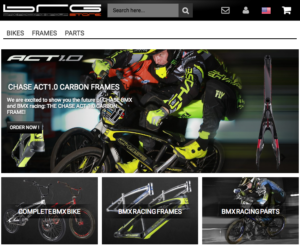 As always, thanks to the great support and partnership from the list of sponsors of the Chase BMX Pro team!